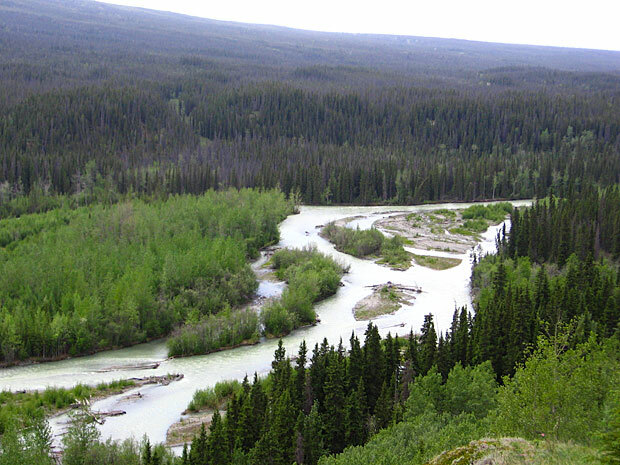 The Tonsina river is part of the Copper River system and stretches approximately 60 miles in length. The Tonsina originates in the Alaskan mountain range and drains out into the Copper river. The key species of Salmon that are most sought after in the Tonsina river are King Salmon, Sockeye, and Coho. The river also offers decent public fishing access. Scroll down to see our Tonsina river fishing access map for exact locations. The Salmon season generally begins in May and runs till the end of October . This fishery generally allows 1 king Salmon over 20″ per day, and up to 10 Chinook under 20″ inches. All other species 3 fish over 16″ per day and up to 10 fish per day under 16″inches. One single point barbless hooks only, unscented corky and yarn, jigs or spinners. Top Recommendation for this location is drifting corky’s or yarn on a hook with a bead as an attractant. Next possibly a steelhead jig under a bobber or spinners. Hand to Hand. Eye protection recommended! The further up the river the less competition.